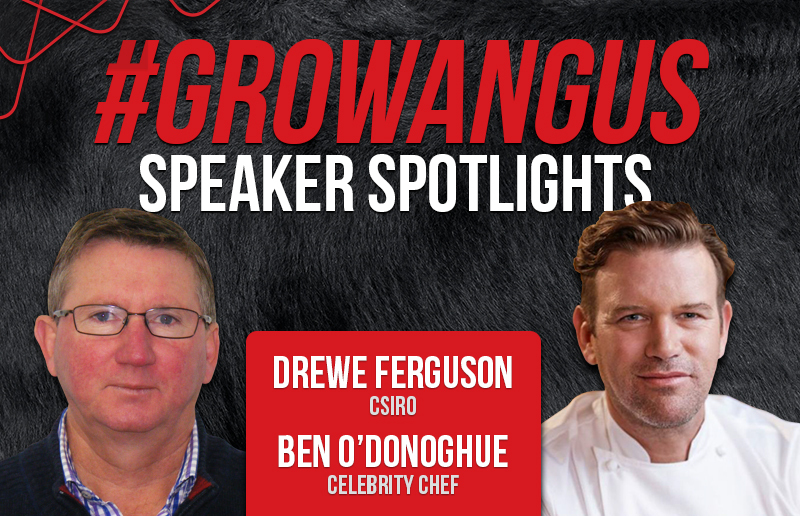 Drewe Ferguson from CSIRO and Ben O’Donoghue, Celebrity Chef will be speaking during the #GrowAngus National Conference on May 18th and 19th in Ballarat Vic. 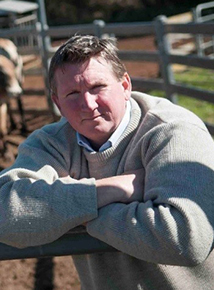 Ben O’Donoghue is one of Australia’s original and most loved Celebrity Chefs. Having worked in kitchens and the media all around the world Ben’s highlight of his career so far was catering the 2015 G20 summit, serving the leaders from around the world and having Barak Obama coming back for more! 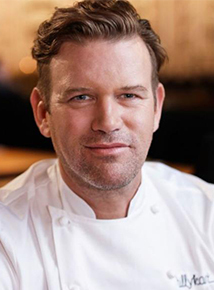 Ben started his career in Australia in the 90’s, then headed to London where he worked in kitchen like the famous River Café, Monte’s Clun, Atlantic Bar and Grill alongside names such as Jamie Oliver and Oliver Peyton. Quickly he became a well-known personality there and fronted BBC2 series The Best with Paul Merret and Sylvana Franco. When he returned him he went straight into filming Surfing the Menu with Curtis Stone, which lasted for 4 very successful seasons. Further TV shows that Ben fronted include The Best in Australia Lifestyle channel, Drive thru Australia, Tom & Ben’s Singapore and Aussie BBQ Hero’s Channel 7. Ben has released four cookbooks with Hardie Grant Books, Outdoor: Grill Your Way Round the World; Ben’s Barbeque; At Home With Ben – a snapshot of his stellar cooking career and Ben’s Barbecue Bible – a culmination of all things barbecuing. Ben’s 4th book, Ben’s Meat Bible, was released in 2015. He has also has been a regular contributor to major food magazines including writing for Delicious for 10 years. Owner of 3 successful and award winning Brisbane restaurant and retail fronts – Billykart Kitchen, Billykart West End and Billykart Provisions, these venues encapsulate his signature laid back style, fresh local produce and distinctive flavour. He is the quintessential, modern, boisterous Aussie Dad. The combination of his larrikin sense of humour with his high end culinary expertise and a passion for sharing what he knows about food, cooking and having a great time, has ensured he continues to be one of Australia’s most loved celebrity chefs.